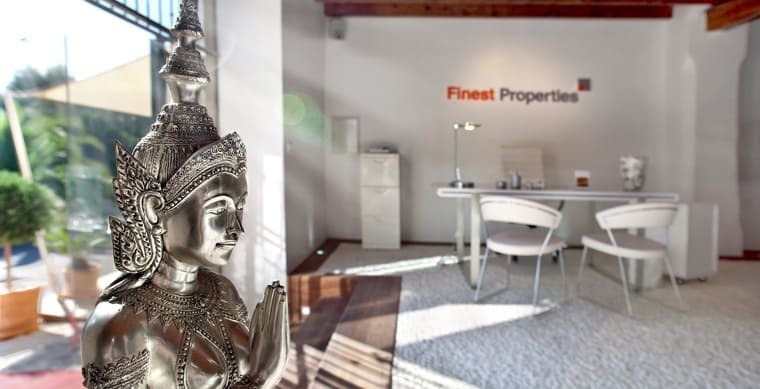 Finest Properties is your real estate agent for exclusive properties in Mallorca. Discover over 750 selected properties Mallorca highlights for buying and renting, relevant information and a lot of interesting facts about the island. 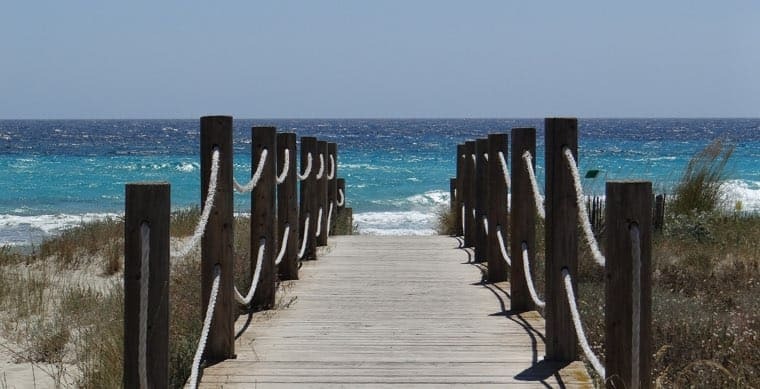 Many prospective buyers and first-time buyers ask themselves: where and how do I find my dream property and if I have decided on a property in Mallorca, which legal and tax procedures follow? On this page we will answer all important. 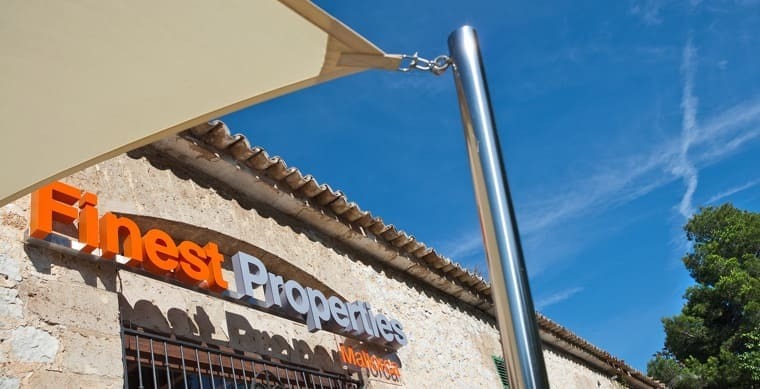 As a personal real estate agent in Mallorca, the Finest Properties Mallorca team has been offering competent and trusting advice on the subject of land and properties for over 20 years. For real estate in Mallorca, we prefer quality: We provide you with an exclusive selection of 750 First Mallorca properties such as finca, villa, apartment, apartment, hotel and commercial real estate. Our Service: We would be happy to find your dream property. Tell us your wishes about location, equipment and price and we will get started! Do you want to buy a small house in Mallorca, a luxury villa, an apartment, an apartment with sea views or a finca for long-term rent? We offer a wide range of high quality Real Estate Mallorca properties. Due to our market knowledge and network we can also show you exclusive and unusual Mallorca properties that are not officially available on the real estate market. Just ask us! 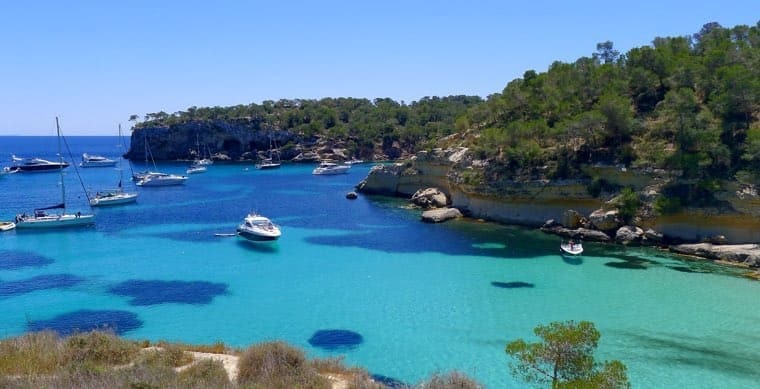 Palma de Mallorca, Santa Ponsa, Portals Nous or Port Andratx with the picturesque bay Cala Llamp are just some of the popular regions on the island. In these beautiful residential areas we provide you with selected purchase and rental properties. You are always welcome, whether you just want to know or have the firm intention to buy or rent Mallorca properties. In both cases, you have arrived at an experienced German real estate agent Mallorca. Do you want to sell or rent out your finca or house? You can find all the important information here. Luxury VIP tour by land, sea and air. » Some important information for first-time buyers of real estate. Are Mallorca real estate a good investment? Since the 2008 economic crisis, the market for immovable property has been booming in Mallorca. Real estate prices have more than doubled in the last 15 years. Experts expect property prices to continue to rise in the future and take this as a good reason to invest in concrete gold. Another good reason why buying property in Mallorca is worthwhile as an investment is the low interest rate phase of the banks. The good cultural offer, balanced infrastructure, Mediterranean quality of life, international schools and easy access from many European airports also speak for this. 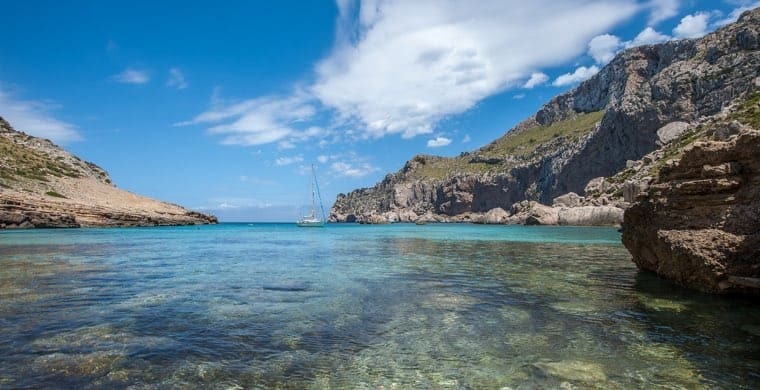 Mallorca remains one of the most sought-after holiday destinations in the Mediterranean. Therefore, we can certainly speak of a low-risk investment and, if you buy well, with a good chance of return. Before you buy a luxury finca, condominium, holiday villa or hotel in Mallorca, we recommend that you seek advice from a local luxury broker of your trust. It is important for your Mallorca broker to know in which region you want to buy your dream properties and what you are willing to invest for it. Read the following article in addition: Broker study holiday properties. Here you can find out that Mallorca real estate prices have risen by an average of 12% in 2017. Almost every type of real estate in Germany can also be found in Germany. That's why we go into four typical Mallorca properties and house types in particular. Afterwards you will find out which hotels and commercial properties in Mallorca are interesting for entrepreneurs and the self-employed (or those who want to become one). How does the process of buying a property in Mallorca work? 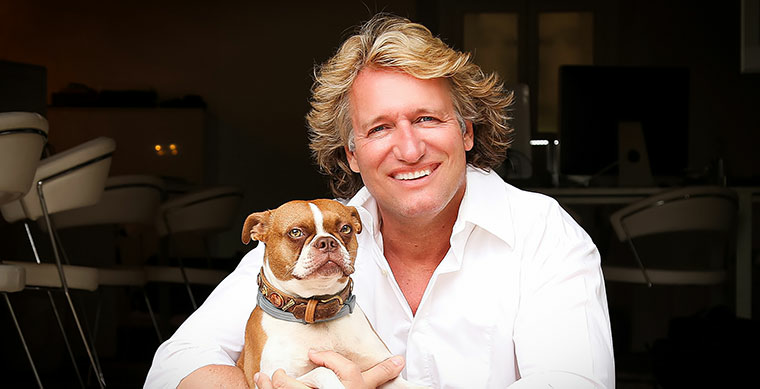 First of all, it is important to find the right Mallorca property. It's like car buying, sometimes a test drive is not enough. Play it safe. No reputable estate agent in Majorca will urge you to house buying, but understand that this is not an easy decision for you. On the other hand, don't play too long on time either, because the Immowelt is very dynamic and good buy and rental properties are usually not in marketing for long. Of course, a private sale is always possible, but if you are not a connoisseur of the matter and the special nous Mallorca market, it is advisable to do so. If a customer sells their property with a reputable broker faster, safer and at a better price, then the investment has paid off. 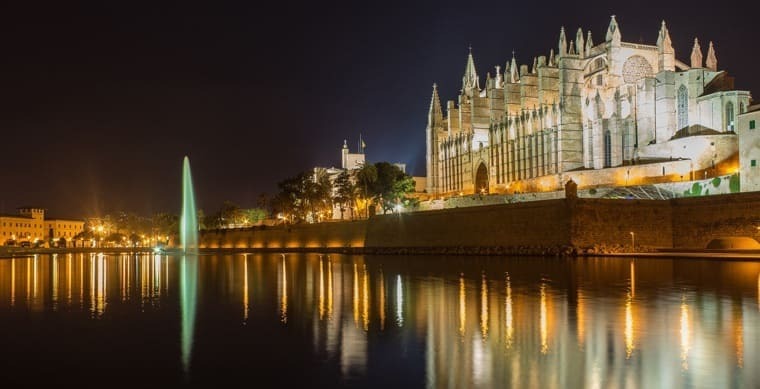 The island capital Palma de Mallorca is the "ideal place to be" for those who want to take advantage of the lively city life and cultural offerings. 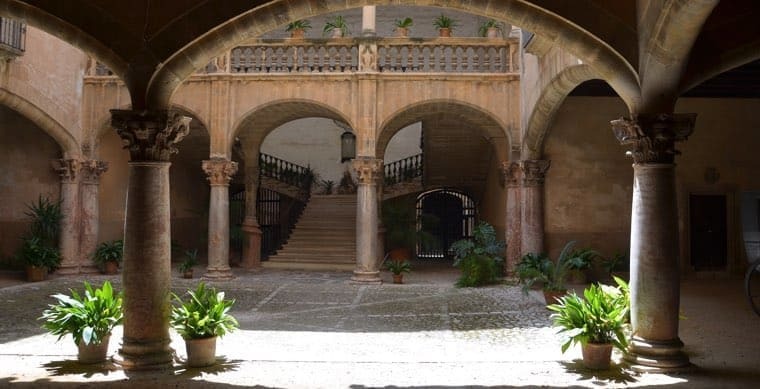 Architecture lovers get their money's worth in the Palma Old Town (La Longa), with its narrow streets and romantic already partial ancient Old Town palaces and courtyards, at your expense. Top restaurants, cafes, bars, boutiques of all kinds, a well-selected cultural offering, and an international audience, make the capital of the Balearic island one of the most popular places in the Mediterranean. Many a buyer of Palma de Mallorca real estate first fell in love with the old town, then bought a townhouse or penthouse with roof terrace. 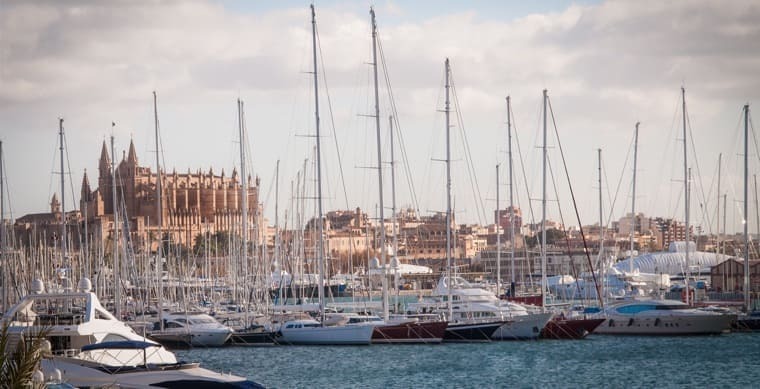 The Paseo Maritimo in Palma, with its bars and restaurants and fantastic views over the marina, has also convinced many real estate seekers that they want to buy a Mallorca apartment. Palma has become a popular port of call for fellow cruise ships in the course of ship tourism. On some summer days, 5-6 large cruise ships dock at the same time in the port of Palma. The Aida, for example, has its home port here in the Mediterranean. The south is sparsely populated compared to other regions and extends from the southwest, from the Bay of Palma to Llucmajor to Santanyi in the southeast. The south boasts picturesque coves, rugged coastlines and Mediterranean dreamy villages. Many of these places live on day tourism. Some villages are connected to small marinas where pleasure boat enthusiasts dock their yachts, as well as some local fishermen. The landscape outside the villages is largely shaped by agriculture. 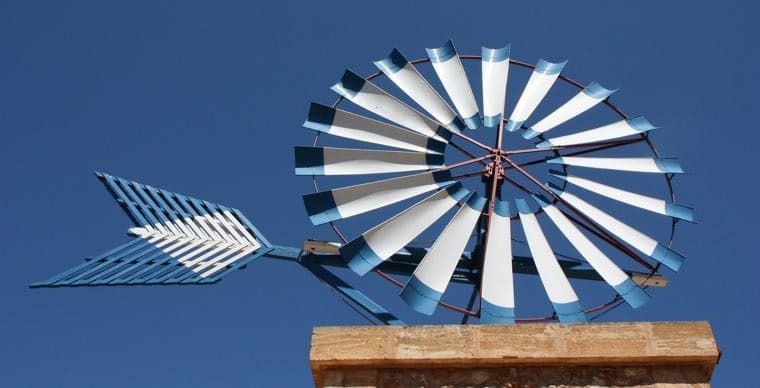 Many farms (so-called fincas) have developed from this, where today many lovers buy or rent a house in Mallorca. If you are looking for idyll and tranquility, you can find your eye here in the south. In short: You will find a lot of peace and relaxation with a typical Mallorca feeling. The landscape is mostly flat and very suitable for cyclists. Especially popular with holidaymakers and residents, the picturesque and long beach of Es Trenc. The east is touristy along the coast. 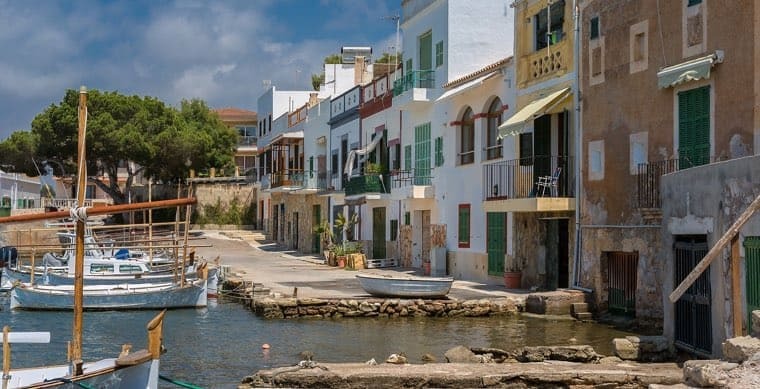 Well-known resorts, Like Cala Ratjada, the quieter Cala Figuera, the castle "Castell de Capdepera" in the northeast, the idyllic Cala Santanyi, Cala D 'Or the "white village" with its innumerable restaurants, the marina and the typical Majorcan village of Porto Pedro in the Southeast. In all these places, in addition to hotel complexes, restaurants and beaches, it also has locations where you can buy interesting properties, such as a finca for long-term rent or a house with sea views. A popular location outside the villages, for example, is the small mountain range, the Serra de Llevent in the east of the island. This rolling hilly landscape is particularly popular with villa owners who want to enjoy the tranquility and panoramic views. Inland, off the coasts, there are small towns with the monasteries typical of this region, cheap but good restaurants, galleries and boutiques of all kinds. Many artisans offer their skills here. 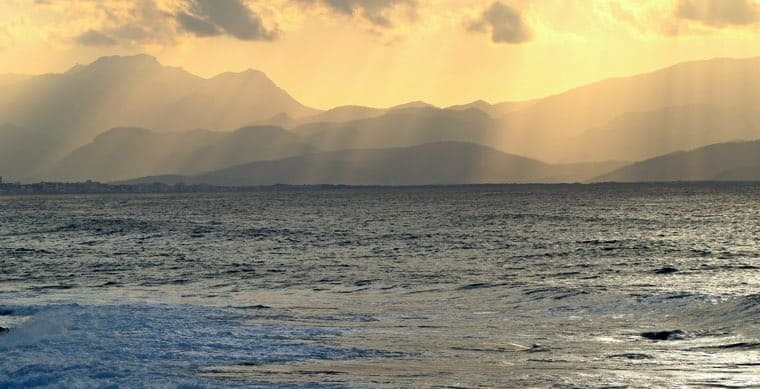 In short: With mountains and bays, the east offers a good cross-section of the island for day trippers and package tourists. There are also plenty of leisure options. If you are still looking for a quiet spot on the beach, you will find it at Cala Santanyi. The Serra de Tramuntana is a mountain range that stretches from Sant Elm on the west coast to Pollensa in the north. On 27 June 2011, UNESCO declared the Serra de Tramuntana a World Heritage Site. Green mountain ranges and valleys, where small mountain villages are located, determine the landscape. Hiikers and climbers get their money's worth here. The highest mountain of Mallorca, is the Puig Major with a proud height of 1445 meters. In winter there is often snow, this is also Mallorca. At the northernmost point on the narrow Formentor peninsula, is the Cap Formentor viewpoint of the same name. There you can enjoy a wonderful view of the sea and a wonderfully wild nature. If you prefer to be touristy, Port de Pollensa, Alcudia and Ca 'n Picafort are in good hands in the north of the island. These are popular holiday resorts for families, but even friends of nightlife don't miss out on this. Pollensa Bay is a hotspot for sailors, windsurfers and kite surfers. The right equipment can be found on the main road between Alcudia and Port de Pollensa at various surf shops. This region is particularly popular with cyclists and triathletes as a training area. In the middle part of the Tramuntana Mountains lies the famous Sa Calobra gorge, which can be reached by car as well as by day companion from Soller. For many holidaymakers and residents, Valdemossa is an interesting destination for the day. For cyclists in spring and autumn an absolute must be on the "to-do list." Martin I, King of Aragon, founded the Cartuja de Jesús Nazareno Monastery of the Order of Carthusian in Valldemossa in 1399. Now known as the Charterhouse of Valldemossa, the monastery is one of the most famous sights of the Balearic island of Mallorca. It was here that Frédéric Chopin and his partner, the French writer George Sand, had spent two months in the winter of 1838/39. Just a few kilometres from Valdemossa, the villa residential location of George Sand, with its natural stone clad, is located in the house facades. In some cases, these villas have spectacular sea views of the northern coast of Mallorca. From Valdemossa, towards Soller you can reach the picturesque village of Deia in half way. Another well-known village, with some excellent restaurants, which is predominantly inhabited by artists and musicians. If you love freshly caught fish, you should drive after the local exit in Deia after about 1 kilometer towards Soller, turn left towards Cala Deia (signs: Restaurant La Caleta and restaurant Can Lluch). Here, on a small idyllic bay, there are two restaurants that serve excellent fish platters on a covered terrace. The view over the bay (pebbles) is available free of charge. From Deia to Soller, it's only 11 kilometres away. Soller is known for its sweet oranges and fragrant lemon groves. 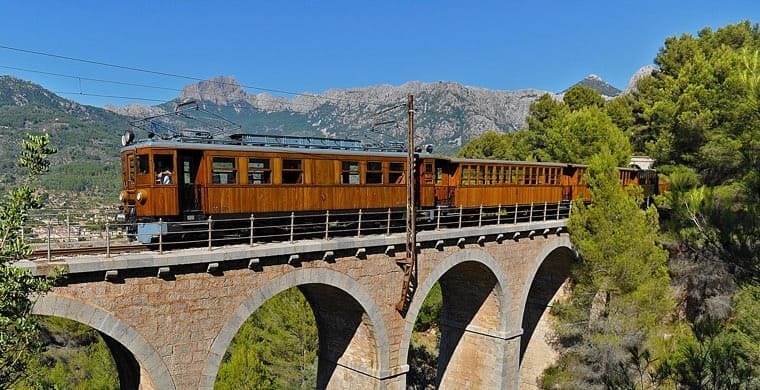 Soller can also be easily reached by the historic train from Palma de Mallorca. Departure train station in Palma is the Plaza Espana in the center of the city. Once in Soller, the visit to the church of St. Bartolomew from the end of the 17th century is quite worth seeing. In front of the church there are several cafés and restaurants with free terraces to relax in. From here, a tram runs to Porto Soller, 5 kilometres away. A coffee or lunch, in one of the restaurants located at the marina, complete the selection. To buy Mallorca real estate in the north, we recommend a country house with garden or a townhouse in Soller, from which you can walk to the promenade in Port Soller. Here you will find the original Mallorca with small and sleepy places that only come to life on the market day. Where low walls neatly separate house and plot, villagers sit in the shadow of their homes in Majorca and stray cats walk their way. In the centre of the island is the Es Plá with the old expert residence Sineu as the centre. At the foot of the eastern foothills of the Serra de Tramuntana is Inca, the fourth largest city in Mallorca, easily accessible via the M13 motorway. The M13 runs east from the Serra de Tramuntana of Palma de Mallorca to Alcudia. Inca is known for its leather processing industry. Especially shoes and leather jackets are a popular souvenir from Mallorca. Manacor is the second largest city in Mallorca with a population of about 42,000. The city is known for its furniture factories and pearl production, which makes the place interesting for a day trip with the rental car. Around Manacor and the centre of the island, Finca Mallorca properties are offered again and again for long-term rent or purchase. 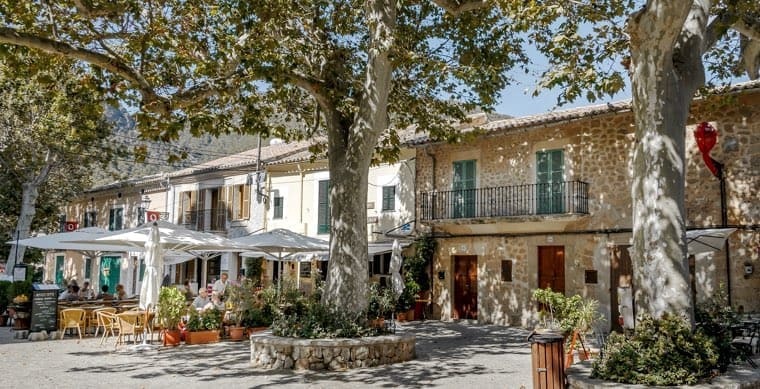 In short: If you want to buy or rent a quiet and small finca in Mallorca, also in need of renovation and cheap with connected agriculture, a real estate can still get a bargain here. Those looking for a refreshment in the summer should consider a house with a pool. The southwest of the island is a popular and exclusive holiday and resident region. It is home to most of the luxury properties in Mallorca. A luxury villa with sea access, a property directly on the golf course or a modern condominium are frequently sought-after investments. They are mostly used on a holiday basis for a few weeks a year. The trend is noticeably moving to the fact that many investors have the property inhabited by their family all year round. They themselves commute frequently, between Germany and Mallorca. 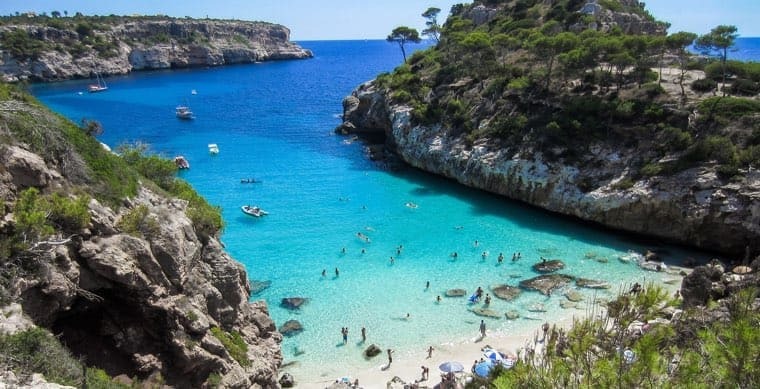 Popular places in the southwest are Santa Ponsa, Paguera, Port Andratx, Portals Nous, Costa den Blanes, Sol de Mallorca, Camp de Mar and Costa de la Calma. 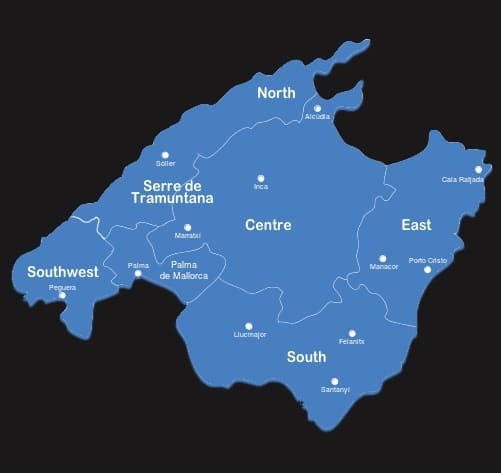 By the way: The southwestern part is geographically not independent, but attributable to the Serra de Tramuntana region. This section stretches from the northwest 88 kilometers long and 15 kilometers wide to the southwesternmost part. Only this short stretch of coastline, which starts from the west and extends to the southeastern Playa de Palma, offers open access to the coasts. This region is very popular with holidaymakers due to its beautiful bays and hilly, green landscapes. Mallorca offers a total of 24 golf courses, including Golf Andratx in Camp de Mar, Santa Ponsa 1.3 (9 holes), Magaluf and Bendinat. 3 other golf courses are located in the urbanization Son Vida on the outskirts of Palma. Water sports enthusiasts will also get their money's worth here. In Mallorca Southwest there are several marinas. The most famous are Port Andratx, Yacht Club Santa Ponsa, Port Adriano has 488 berths between 6 and 80 meters. The most famous marina after Palma's Club de Mar is Portals Nous. In total, the port has 670 berths for ships with a length of 8 to 80 meters. On the adjacent land area of 8.5 hectares there are technical service companies for boats, several restaurants and boutiques. Seeking properties in Portals Nous are apartments for long-term rent overlooking the marina or a villa Mallorca for buying or renting in a slightly higher and guarded residential complex Costa den Blanes. From here to Palma city it is only 5-6 minutes by car. In short: Port Andratx boasts luxury villas on the hills of the bay and invites you to stroll along the harbour promenade along the cafes and restaurants. The noble maritime marina of Portals Nous, which belongs to the municipality of Calvia, is beautiful. Santa Ponsa, Costa de la Calma and Bendinat are also very popular due to the exclusive villas and many golf courses when buying real estate. Which Mallora properties are interesting? Mallorca properties that suit the investor are interesting. Whether you want to use them privately, acquire it as a renovation property or rent it as a return property. That's why it's important for the real estate agent to know where the investor's journey is supposed to go. Accordingly, the broker will provide you with appropriate real estate offers in accordance with the search request and budget. With us you will get existing and new building properties such as luxury villa, detached house, semi-detached house, country house, new building apartment, chalet, holiday house, beach house, as well as city hotels, country hotels and boutique hotels in a prime location. We also offer commercial real estate that is of interest to entrepreneurs and the self-employed. 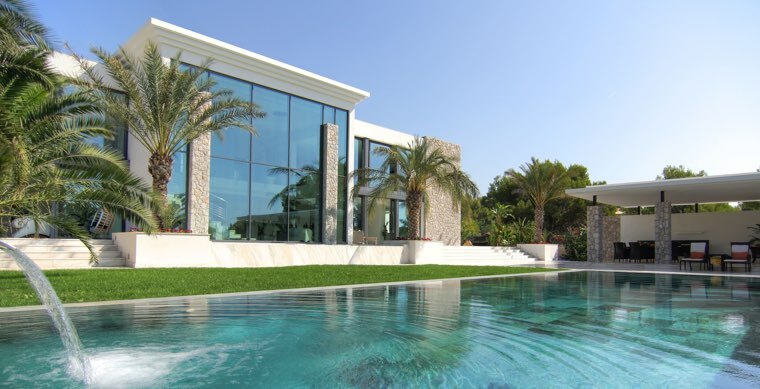 Buy a luxurious villa in Mallorca-Mediterranean style with grounds, equipped with pool and sea views, are certainly the most coveted and expensive purchase items. A luxury apartment is usually very modern and offers a lot of living space with several bedrooms and bathrooms. Investors who buy these luxury properties place a lot of emphasis on privacy, tranquility and best location with good infrastructure. You will find such properties in Port Andratx, Portals Nous, Bendinat, Nova Santa Ponsa and Son Vida. The latter place has a fast access to Palma, a quiet location with beautiful panoramic views of the city of Palma and the sea. Cheaper than a Mallorca luxury villa with large plot of land is a semi-detached house or terraced house, which is often offered in golf courses. 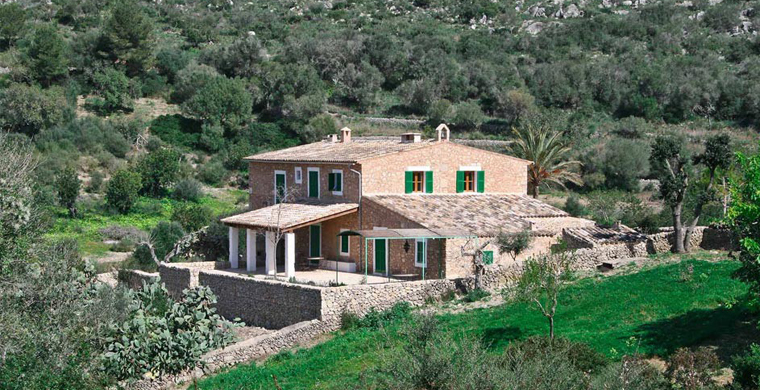 A finca Mallorca is the classic among the properties you are looking for. Finca is called in Spanish property, which is used for agriculture and on which there is usually a house. This typical construction method is more likely to be found in the centre of the island. The trend towards finca in Mallorca, even with guesthouse is unbroken. So there is a need for some haste if you want to get a bargain here. Mallorca Finca properties are often used commercially by foreign residents as a hotel-restaurant, seminar and yoga centers or dropout hideaway. Buying at finca requires thoroughness in bureaucratic matters, as the legal situation is sometimes complicated. To meet the high demand, a residential building in the countryside is often built as a new Finca-style building without being on an agricultural land. If you buy an old finca in need of refurbishment, you save significantly. Usually you get a lot of land, pristine nature and the peace as a bonus with it. 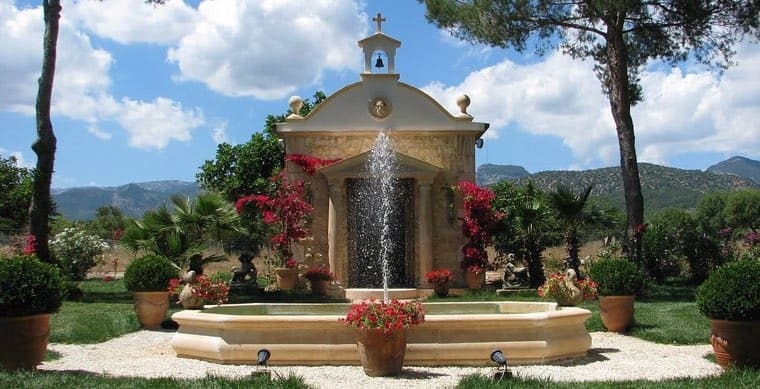 Our Service: If you are looking for an internal natural stone finca and you want to secure your peace and quiet, then plan a not too small plot of land. Former agricultural lands sometimes quickly become building land. Standing in the middle of Majorcan life is the motto here. The village house is either a terraced house in the city or a detached house with a small plot of land. If you want to buy a small house in Mallorca in a village, then your will to integrate should be very high. Learning Spanish is recommended, as many villagers do not speak German or English. You are not allowed to expect high standards of equipment in this country house style. For this, the purchase price is usually lower than for a villa or a freestanding finca. It is advisable to install a heating or air conditioner warm/cold, if not already installed. Most of the time there is only one oven or fireplace and it is hardly enough to get the whole house chubby warm in winter. Don't forget: The Balearic Islands have seasons and it gets damp and cool here in winter. Of course, you can buy any house in Mallorca and retrofit it with a heater. The cost of this is in the frame. Often titled "bargain houses," these village houses are offered in all regions. What are the advantages of a residential complex? If you wish, you can also buy into a residential complex "Urbanizacióne" guarded by security services. Many homeowners also wear an external pool and garden keeper. A house service is often used before arrival and after departure, which will get the villa in shape. For golfers, a luxury residential complex right on the golf course is interesting. 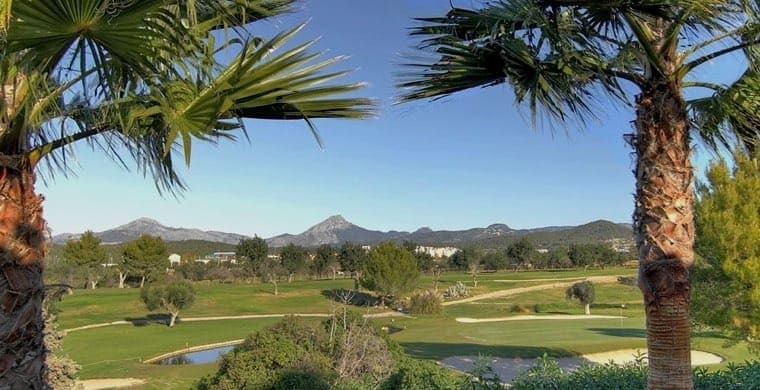 In some golf residential complexes it is possible to take your own golf car to the subsequent golf course, for example in Santa Ponsa 1 and Royal Golf Course Bendinat. Hotels or fincas for holiday rentals, bars and restaurants usually work well in Mallorca. But without an effective business plan, enough seed capital,-and sufficient reserve to survive even 4-5 months in winter, when there are fewer tourists on the island, it is better not to venture into the adventure of self-employment. We recommend anyone who wants to set up business with commercial real estate in Mallorca, whether as a craftsman, in the hotel industry or in the catering industry, to acquire Spanish knowledge. It is also advisable to find out about the necessary legal and industry-specific knowledge, otherwise the purchase of a commercial property will quickly become a gamble. Apart from the legal and tax aspects in a foreign language for you, your trade should generate enough revenue to cover all running costs. It should be borne in mind that the price level (such as rents, personnel, electricity ect.) in Spain is not much lower than in Germany. Expect sober and emotionless, otherwise the dream of self-employment in Mallorca can quickly turn into a nightmare. That's what we, from Finest Properties Mallorca, stand by her side in an advisory capacity. Based on your ideas on what your investment or dream properties in Mallorca should look like and from preliminary discussions we conduct in advance of a sightseeing tour, we can present you with pretty suitable Mallorca properties. If your desired property is not available on the market, we will remain on the lookout until we find the right rental or purchase property for you. All the dream home Mallorca properties presented by us were pre-visited, reviewed and priced by our long-standing and experienced employees of Finest Properties. How do you secure your dream property? If we have found your suitable desired property, we recommend you especially when purchasing a Finca Hotel or a Finca House and in advance of an option payment, a construction appraiser that checks the structural condition of the property and a lawyer who will pay the legal status Page of the property checked, to consult. We are happy to provide you with the appropriate independent reviewers and lawyers. At the house, villa or apartment Mallorca buy in an urban location, the examination of the property for legality and the general condition of the building can be carried out by the broker. If you have opted to buy a property in Mallorca after checking, we or a lawyer put up the option contract. This becomes final, when payment of the option fee to the seller (or in some cases also to a notary or attorney's account). The option agreement lists, among other things, the time limit for the notary date, the purchase price and the legal description of the property. (The purchase price always includes the brokerage fee and is paid by the seller in the case of notarial certification). Should the buyer, for whatever reason, let this option period expire and not appear at the notary date for signing the bill of sale (Escritura), the option fee paid shall lapse in favour of the seller. If the seller does not observe the notary’s appointment by the end of the option period, the buyer can insist on performance of the contract or demand double repayment of his down payment. Why is a notary purchase agreement important? According to the law in Spain, no notary has to certify this contract for privately sold properties. Handshake, contract on beer lids or napkin would suffice in principle. But you do not get absolute legal certainty as a result, but you always need a land registry entry. On the legally secure side, you are only the notarized proof of purchase, which becomes an Escritura púplica with the entry in the Land Registry, when you get an Escritura through a notary. Buying real estate in Spain (sale through a developer or promoter) does not incur a land purchase tax, but the 10 %sales tax (IVA) and the 1.2% document tax (AJD). This also applies to the sale of commercial real estate, such as a hotel or a commercial hall, although in special cases the tax may also be 21%. Notary costs and stamp duty are around 0.5% of the purchase price. Lawyers or gestorias handling the purchase typically charge 1% of the sale price, or at least €2.8,000. Option contracts issued by Finest Properties are free of charge for the buyer, as well as for the seller. Use the service of a tax representative (Gestoria) in Spain. A non-tax resident in Spain who wants to buy a house or apartment in Mallorca is obliged to appoint a tax representative. The real estate seller in Mallorca carries the full brokerage fee alone. This is due on the day of notarized certification. In addition, there is the common value growth tax (plusvalia municipal or, correctly, technically referred to as Impuesto sobre el incremento sobre el valor de terrenos urbanos). This tax is based on the value auctions of the land in this municipality where the property is located and registered. 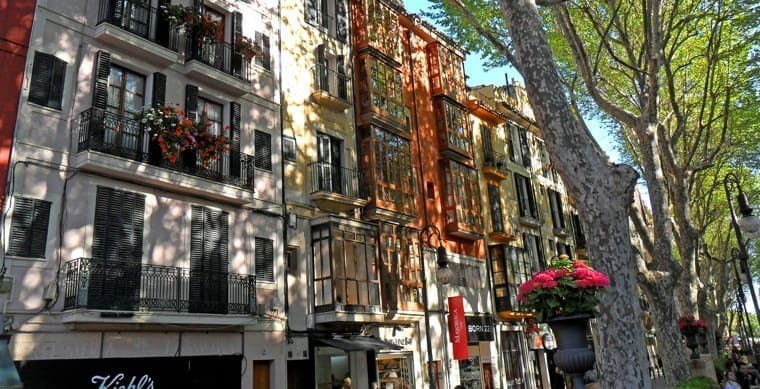 Furthermore, the seller must tax the profit from the sale of property in Mallorca with 20% (EU citizens), regardless of whether he is non-tax resident or tax resident in Spain. In the case of non-residents ' tax, the buyer withholding tax (retencion fiscal – withholding tax) is already withholding tax) and deposited with the Spanish tax authority within 30 days. This sum can also be deposited with the notary in the case of notary certification in the form of a bank cheque. A named Gestoria will then pass this amount on to the tax office. At the notary appointment, the seller must present an energy certificate. This is usually exhibited by an architect. We would be happy to recommend a reviewer. The cost of the certificate depends on the size of the property. For a Mallorca apartment about €200,000 and for a villa about €400. What do you need a NIE number for? For non-Spanish buyers, a NIE number ("Número de Identificación de Extranjero) must be presented at notary appointment. It is mandatory for non-Spanish residents. Without them, no substantial legal transactions, such as lease, real estate purchase in Mallorca, car purchase, conclusion of insurance and banking contracts. You can apply for the NIE number online from the immigration office in Palma or through a Gestoria or lawyer. Allance 6-8 weeks of processing here. The cost of this is around €150-180. Gestorias, derived from the Spanish Gestor, are tax advisors and take care of tax matters such as bookkeeping and payroll accounting on your behalf. As the Spanish bureaucracy is very complicated for foreigners, Gestorias takes care of many formalities and necessary administrative matters, e.g. the procurement of a NIE number („Número de Identificación de Extranjero), without which almost no legal transaction is possible for non-Spaniards. We are happy to arrange for German and English speaking tax advisors. Why does marketing with real estate agents bring you benefits? This is because in many cases a real estate agent already has the relevant prospects for an object in his client list. A real estate Mallorca private sale, is in principle always possible, most rental and purchase properties are offered by brokers. The difference with Germany is that the real estate sellers in Mallorca very often commission several brokers to sell at the same time. As a result, the buyer finds the same properties on the websites of various real estate brokers. Why work with Finest Properties Mallorca? With more than 20 years of island – and real estate experience, you have a competent contact person and experienced market connoisseur as a buyer and seller, at your side. In addition, we specialize in luxury real estate in Mallorca in many price ranges, as well as hotels of various sizes. 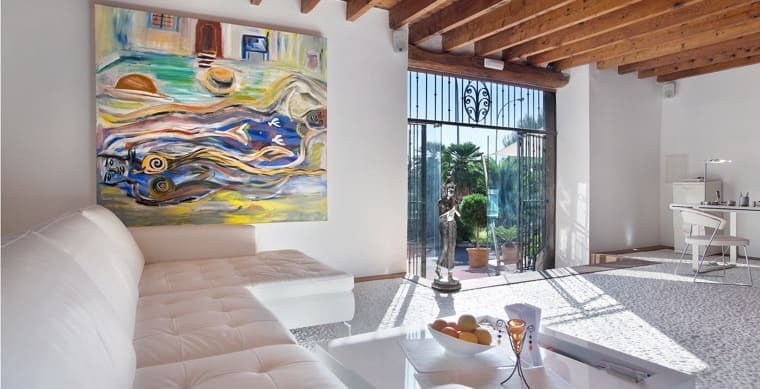 But the buyer, who is looking for an entry-level property up to €500,000.€1000, will also find it with us. Make an appointment with Finest Properties Mallorca, stay in your new Mallorca property soon and enjoy the Mediterranean life, the most beautiful island of the Balearic Islands for us. Finca for Sale on Mallorca - what to consider. Living in Mallorca - a small guide for emigrants and long-term residents. Don’t miss our VIP service: A luxury weekend on land, on water and in the air!